Just about a week ago, I mentioned not being roped into the whole red & green dye + sprinkles situation this holiday season. And as an adult, I still fully stand by that idea. But as a mom, I also understand that there are some things we must do for our kids. Oh man, if something has sprinkles on it, my son so into it! Half the time, he’d rather eat just the sprinkles than the actual cookie. It had been awhile since my kiddo and I had made a Cooking with my Kid video. We made them quite a bit during the summer, but since we’ve been back into the early bedtime school schedule and added martial arts into the mix, it’s been hard to make it happen. (If you’re interested in seeing others, check out my youtube channel) He has been begging me to do another video soon though, and I thought for this holiday season, we should whip up something easy and kid-friendly to show you. 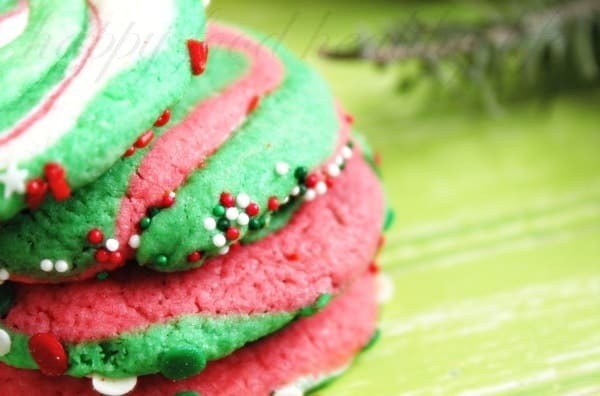 I’m sure you guys have seen these pinwheel cookies all over Pinterest. If you haven’t though, don’t go look – they make my cookies look bad. I’ve mentioned that making food look pretty is not my strong suit, right? Especially cookies! But you know what? They’re delicious and I had such a fun time making these with my kiddo. I hope you get your kid in the kitchen with you this season. If you don’t have one of those, how about your partner. And well, if you don’t have one of those, just call your cat in and have fun rockin’ to Mariah Carey’s Christmas while you bake these gems. 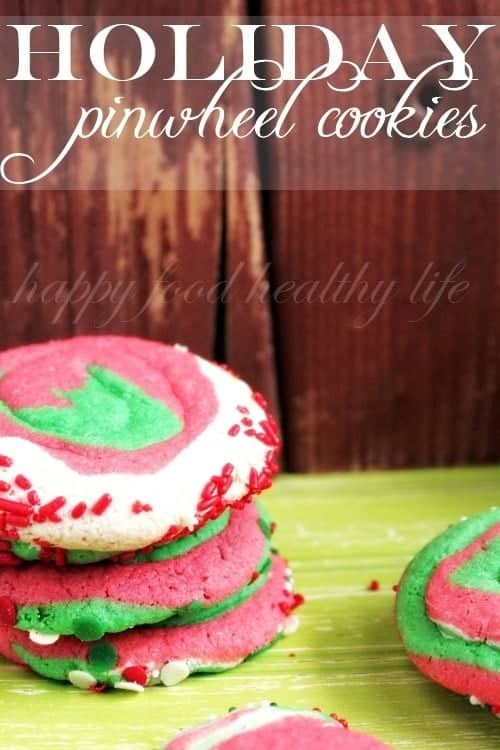 Divide refrigerated cookie dough into however many colors you plan on using. Once dough is divided, use food coloring to color your dough to your liking. Once you have your dough colored, take a marbled size piece from each color. Squish them together just enough to marble the colors, not to combine the colors to the point you’re changing the color. On a lightly floured surface, roll your marbled dough back into a ball and then out into a long cylindrical shape about 6 inches long (like you used to do with playdough). You can then roll the cylinder shape into a pinwheel and coat the edges with sprinkles if you would like. Place on a cookie sheet and bake according to your sugar cookie dough recipe. Cool on a cooling rack before eating. 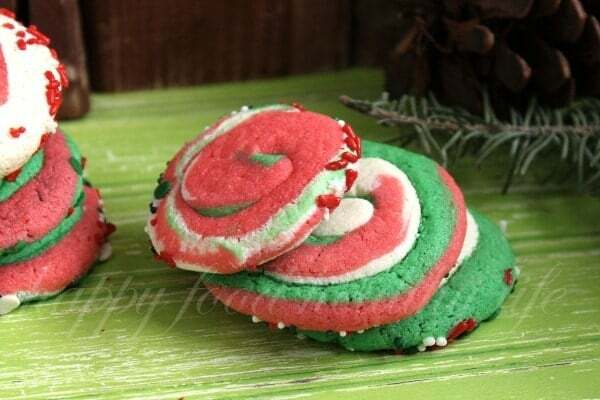 Have you baked anything red and green yet this year? Oh I hope you do! They’re practically fool-proof, and of course if you’re involving sprinkles, they’re going to love it… along with the general sense of accomplishment of making cookies!